When choosing a location for engagement shoots in New York City, there are so many amazing and endless options to pick from. One of the most beloved locations for engagement photos is Central Park in NYC. This particular engagement shoot was photographed on a warm cloudless summer day. 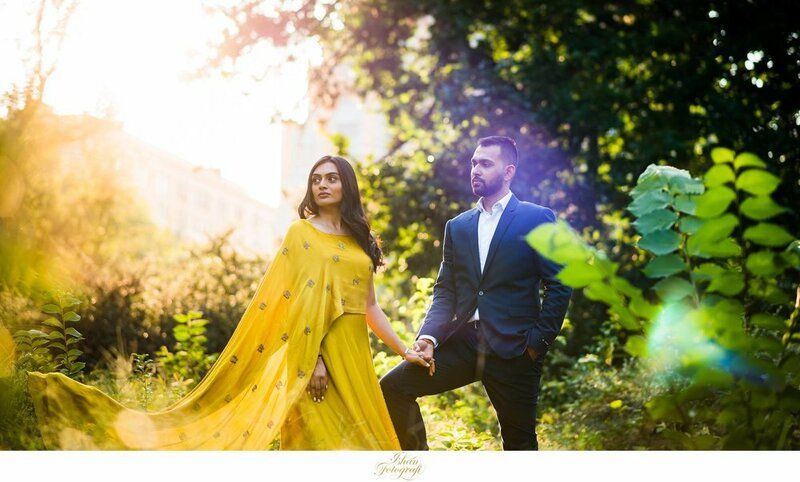 Our soon to be bride, Khushali's dress complimented that summer light just so beautifully. Like with all our engagement shoots, we spent a couple of hours with our bride and groom to be while photographing them in Central Park & finding interesting locations within the park. It reminded us of the engagement shoot in Brooklyn for Michelle & Jake. We wrapped our shoot at the ever popular Bethesda Terrace Arcade and even managed to capture many amazing pictures by the Bethesda Fountain without making it look crowded which on a nice summer day is almost impossible to do! 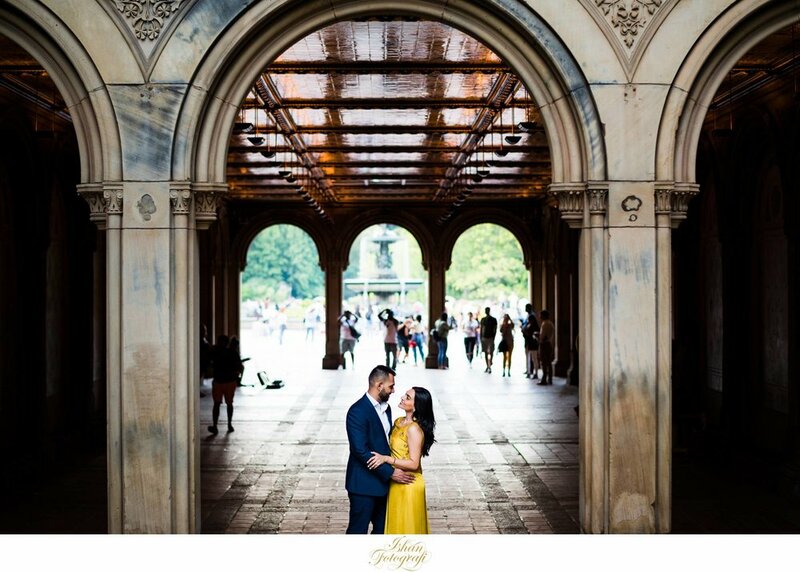 These are just some of our favorites from Khushali & Neel's engagement shoot in Central Park. Enjoy! 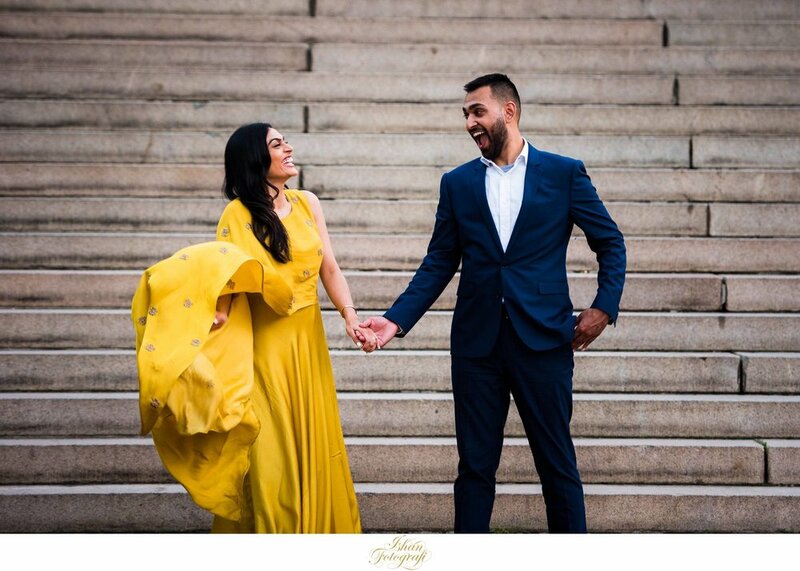 Check out our Facebook page & Instagram for latest updates from NYC engagement photographer Ishan Fotografi. 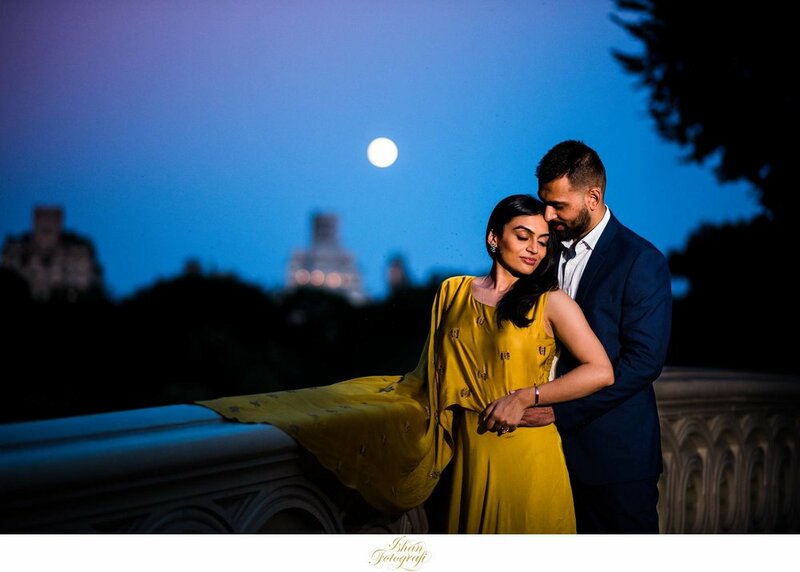 Ishan Fotografi is a professional NYC wedding photographer based out of Clifton, NJ. Our wedding photography can be described as intimate, natural and documentary. We are a husband & wife team of NY wedding photographers specializing in engagement, wedding and event photography. Photographing weddings around New Jersey, New York, Hamptons, Long Island, Pennsylvania, Connecticut and destination weddings in Florida, North Carolina, Colombia, Jamaica to name a few, has given us tremendous experience photographing weddings from a variety of different religions and cultures including Catholic weddings, Indian weddings, Chinese weddings, Jewish weddings, Greek weddings, Turkish weddings to name a few. Being in New Jersey, we have had the opportunity to be in and around New York City and photographing some of the most beautiful weddings. We love photographing engagement shoots around Hoboken, NJ, Brooklyn, NY and Central Park, NYC to name a few.